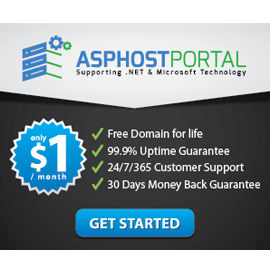 ASPHostPortal.com has served people since 2008 and they know how to deliver powerful, fast and reliable Drupal 8.2.3 hosting with the superior customer support. They strive to make sure that people, the customer, have the finest web-hosting experience as possible. Their commitment to excellence in customer support and system performance is truly what sets them apart from the competition. Now, they offer reliable Drupal 8.2.3 hosting with money back guarantee. Drupal 8 is the latest, greatest release of the world’s most widely used enterprise web CMS. It’s fast. Flexible. Drupal 8 taps into the concentrated innovation from its open source community. People can drive value and streamline your work with new capabilities for successful digital experiences. Drupal 8 has something for everyone who supports online content and digital experience at any organization: business decision makers, site administrators, digital marketers, content managers, web developers, technical architects, and IT pros. Drupal 8’s core platform has more than 200 new features built in. But it’s more than a collection of features; Drupal 8 is a platform you can use to achieve digital success.